In 2007, when I first met Hesham Salman, he just had an idea: starting a company that would put the value of his thorough knowledge of polymer nanoencapsulation by applying them to multiple sectors. It was an idea that was more than innovative, it was quite disruptive: it consisted in the application of nanotechnology techniques to biotechnology, pharmacology, food manufacturing, fertilizer, etc. Since then, I was fortunate enough to accompany him, along with other advisors, throughout the process of developing his business idea, researching the market, defining his business model, prototyping his product, developing a business plan and raising financing. Raising financing required a lot of time, and after he finally could launch his company I participated on the Board of Directors for two years. By the way if you have interested about how he prototyped his idea I tell you in the post “The Metaphor of the Chair: Four Stories About the Viability of Innovative Business Projects”. The example of “The second leg of the chair: commercial viability” is referred to Bionanoplus. Activity: Bionanoplus was born in 2010 to provide real solutions to nanotechnology problems in pharmaceutical (drug delivery, vaccination and immunotherapy), cosmetic, food, and agrochemical industries. We have developed different technology platforms based on polymeric nanoparticle systems that allow us to tackle delivery, processing, and efficacy issues of therapeutic and non-therapeutic molecules with a cheap, easy to scale up and proprietary technology conceived to fit market need and regulatory requirements. Entrepreneur: Hesham Salman. Founder and CEO of Bionanoplus. PhD degree in Pharmaceutical Technology (Nanoparticles for vaccination and immunotherapy). 2008: Hesham Salman attended Bioances, a training program for biotech entrepreneurs in Genoma España. April 2009 Hesham Salman finished his job at the University of Navarra and worked full time on his project. 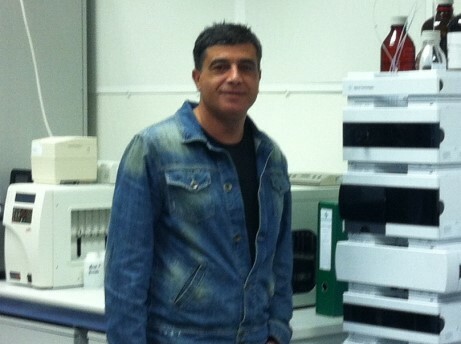 July 2010: Hesham Salman founded Bionanoplus in CEIN Business Incubator. 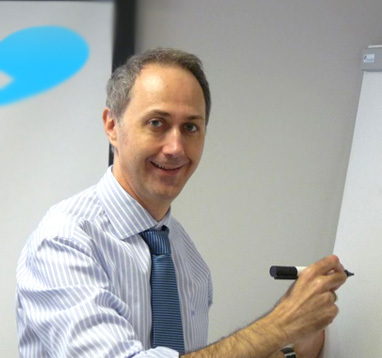 December 2010: Start Up Capital Navarra and Inveready, seed capital funds invested in his company. Februar 2013: First Licensing agreement (Topical Pharma Product). May 2013: Second Licensing agreement (Vaccine Product). 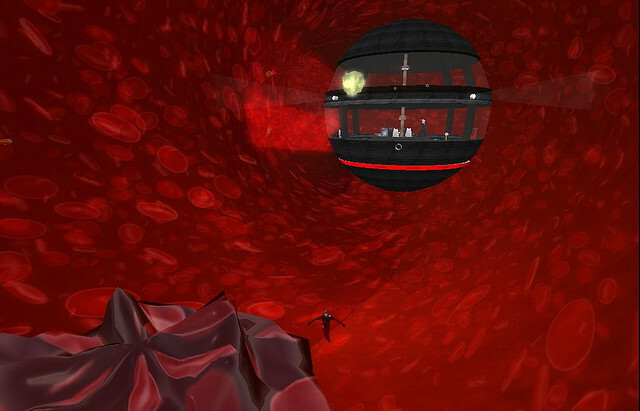 About Blood Vessels and Nanotech. Photo by John Norris on Flickr used under a Creative Commons license. • What is your business model? Our strategy is to get positive cash flow coming from R&D services that will be re-invested in our product portfolio. At the same time, we are negotiating with well established companies to co-develop our own products thus reducing our development risk. Finally, we are focused in out-licensing our products and getting income from royalties. • Is your company’s current activity very different from the one you started? Not at all. Usually, you must make some modifications in your activity in order to adapt to market needs and avoid the impact of competitors. • What do you wish you had known when you started, that you know now? In fact, I wish I knew how solve real problems related with the financial support of small companies and processes of fundraising. Also, I wish I had understood the cost of wasting time over decisions that didn’t matter in the long term. If you aren’t carefully aware of time to market of products, you end up wasting a lot of time on things that make no sense instead of getting things into the market. • What is the biggest mistake that you have made and what have you learned from it? Truly, I made many mistakes and the biggest one I made was when I started to build the R&D plans including pipelines of the company. I collected a lot of data and I asked many experts. However, I probably didn’t make much of an effort to select and focus on the adequate market need in some of these pipelines. Though it was so difficult to build a great company without owing an excellent product, it’s always good to get input and opinions from experts. But getting too many experts’ opinions can delay the decision so long that the company never gets out of the starting point. • If you could start over again what would you do differently? I would probably do it the same. However I usually dreamed about eradicating poverty problems and building my own NGO to help many people. • How much financing have you raised and from what sources? We raise 600.000 euros from two seed capital funds, Start Up Capital Navarra and Inveready and one million euros in Spanish public financing from different calls. • What was the biggest challenge to get investors? It was so difficult to achieve sufficient initial financial support from private and public investors. I could not deny that the biggest challenge, per se, was how to build an adequate business plan including: real milestones, product development, proprietary technology, time to market and the appropriate team. In addition, it was extremely hard to estimate real forecasts and set goals for growth of sales, profits and cash-flow projections. To raise enough money you need to put some of your creative genius, enthusiasm and identity in your plan. • What do you consider the most important characteristic of an investor? • What have you learned from raising capital? You can have an excellent business idea with master business plan, but if you don’t have a list of clients, products protected by IP and realistic sale forecasts you will not be able to get funding. Of course, that doesn’t mean you shouldn’t do your best in the creation of your business plan. • How long did it take you to sell your first product? • How did you manage to get your first client? In our company, we have good feedback related to market need and the capacity of our technology to solve market problems. However, don’t forget that we were a very young start-up and pharmaceutical companies need to trust and validate your product and the technology behind it. Thus, we got our first client within the first 2 months of launching. We got it doing a lot of commercial efforts, demonstrating that our technology is competitive and able to provide real solutions. • What was the biggest hurdle you have faced or are still facing? In addition to the high cash burn rate, new direct and indirect competitors that arise day by day are the biggest hurdle faced at every moment. It is critical to identify competition and to build your alternative strategy approaches to guarantee your survival. • What do you enjoy most about your start-up? We enjoy facing and overcoming many challenges with enthusiasm and sacrifice. • Where do you imagine your company and yourself in five years? Bionanoplus is completely aware of the huge amount of challenges it faces and I wish to put Bionanoplus at the top of the market. • What advice would you offer to any soon-to-be startup entrepreneur? Fight day and night with excitement, enthusiasm and sacrifice in the development of your business. Thank you very much for telling us your experience. I learned a lot working with you and I’m sure it will be very useful for many entrepreneurs, especially those who launch a Technology-Based Company as Bionanoplus. I hope Bionanoplus will grow a lot and you and your team enjoy with it! · Consider “time to market”, the time it takes to get into your market. · Focus on arriving to the market as soon as possible! · Get continuous feedback from the market. Develop the products focusing on market needs. It can be very difficult to get. A business plan is necessary, but not enough. You also need a client list, products protected by IP laws and a realistic sales forecast. When you launch a company, be prepare to burn cash very quicky (See post The Metaphor of the Tub). In the end, it is necessary to work many hours with enthusiasm and sacrifice. If you liked this article or you think it can be useful for your contacts, I will appreciate if you share it on your social networks. Thanks!